Kate Schellenbach is a judge for the Hit Like A Girl contest. 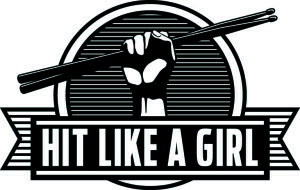 Hit Like A Girl 2015 is the fourth annual global drumming contest for female percussionists. The event is produced by Hit Like A Girl Contest in conjunction with founding sponsors DRUM! Magazine, TRX Cymbals, and Tom Tom: The Magazine of Female Drummers. The contest runs through April 8, 2015 and is for girls/women only with two age groups – under 18 and over 18. I encourage any drummers out there to take a look and enter!